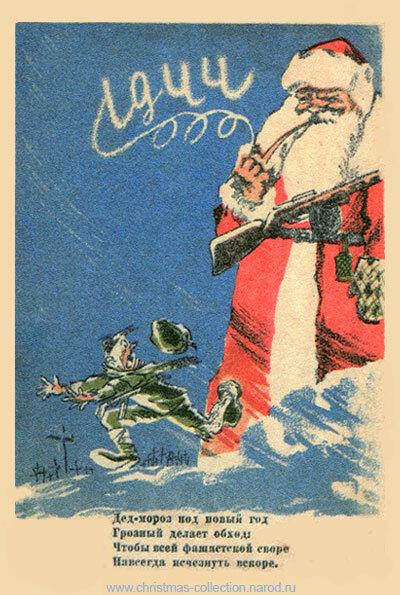 I could wait another 11 months for the Christmas season to roll around again and post this, or just admit that I came upon this series of cards a little late. 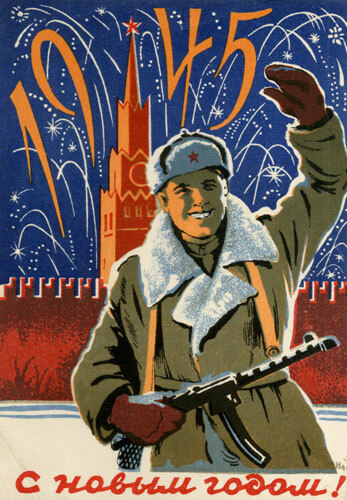 Here were have the politicization of Yuletide’s beloved figurehead. 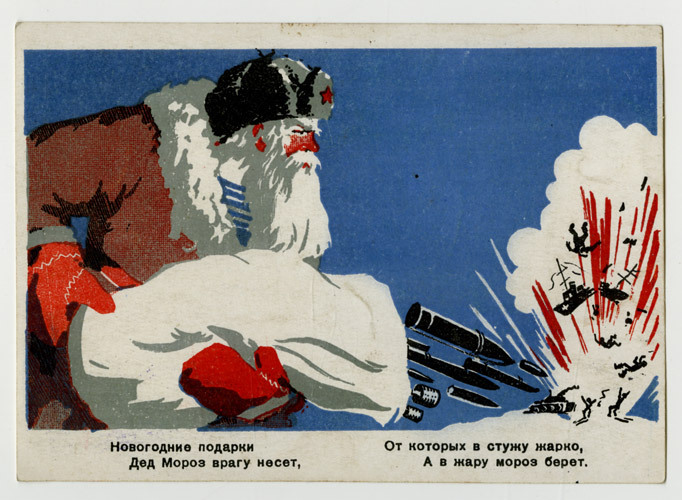 Santa is rarely pictured with a machine gun nowadays. I love these ephemeral renditions of an otherwise unchanging legend. 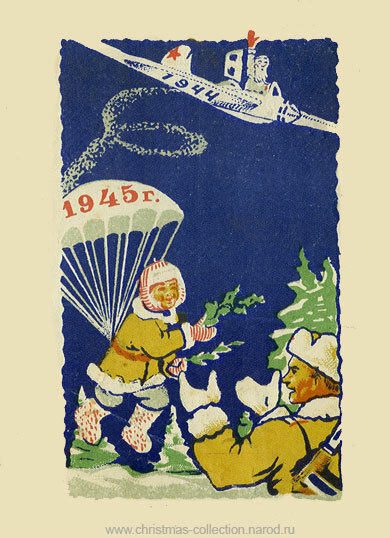 Of course, we also have the delightfully retro-futuristic Russian Space Santa. 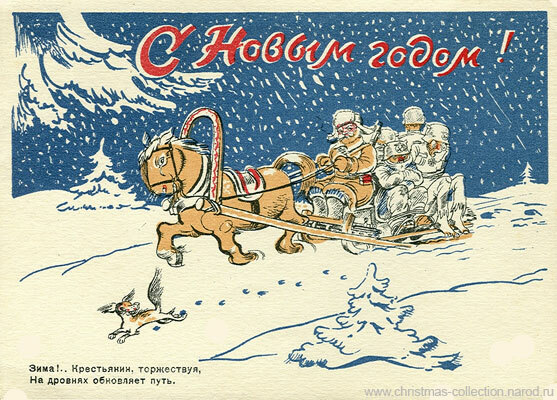 This entry was posted on January 8, 2010 at 3:05 pm and is filed under art, christmas, ephemera, postcards, vintage with tags art, christmas, ephemera, postcards, vintage. You can follow any responses to this entry through the RSS 2.0 feed. You can leave a response, or trackback from your own site.